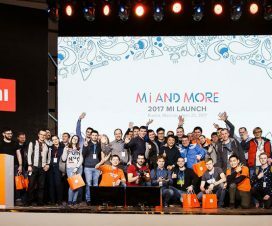 Xiaomi on Tuesday announced the Mi A2 and Mi A2 Lite Android One smartphone at its “Global Smartphone Launch” event in Spain, as it had promised. The Xiaomi Mi A2 is the successor of last year’s Mi A1 and it’s the same device that was introduced in China as Mi 6X back in April this year. 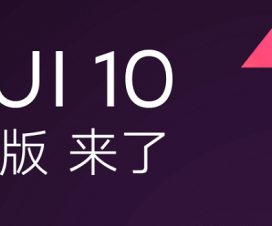 Only difference is that the Mi 6X runs on company’s own ‘MIUI’ while the newly launched Mi A2 runs on Google’s Stock Android out-of-the-box. 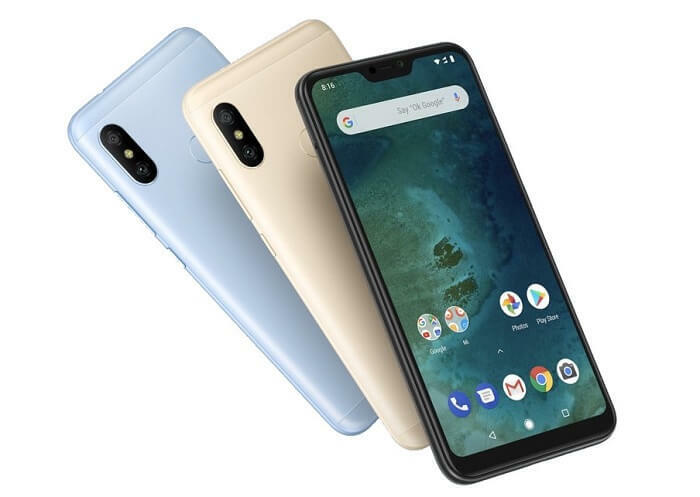 On the other hand, the Xiaomi Mi A2 Lite is a smaller and cheaper variant with a notched display and runs on Google’s stock Android. 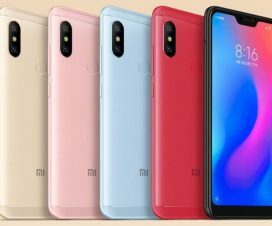 Just as last year’s Mi A1 was based on the China-only Mi 5X, the Mi A2 has basically identical hardware to the Mi 6X. 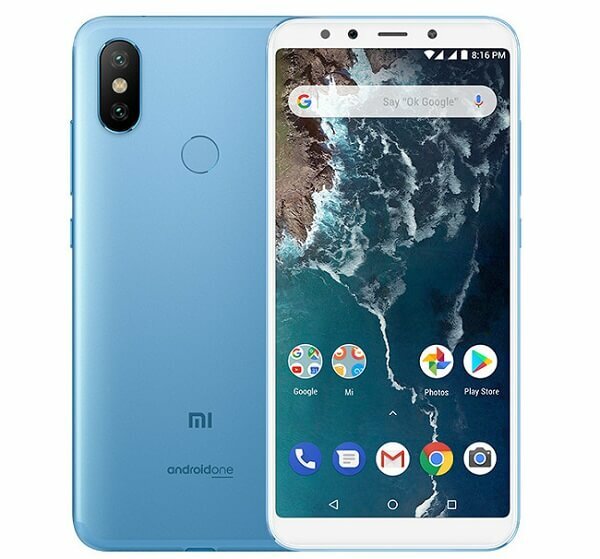 On the display front, the Mi A2 flaunts a 5.99-inch (2160 x 1080 pixels) Full HD+ 2.5D curved glass display with 1500:1 Contrast ration and is powered by a Octa Core Snapdragon 660 14nm Mobile Platform (Quad 2.2GHz Kryo 260 + Quad 1.8GHz Kryo 260 CPUs) with Adreno 512 GPU. The smartphone is just 7.3mm thick and runs on Google 8.1 Oreo. On the photography, the Mi A2 sports a 12-megapixel primary camera has 1.25-micron pixel size and a secondary 20-megapixel 2-micron 4-in-1 Super Pixel for better lowlight images; the aperture is f/1.75. 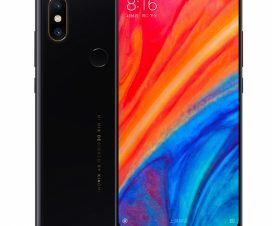 There is also a 20-megapixels front facing camera with AI features. 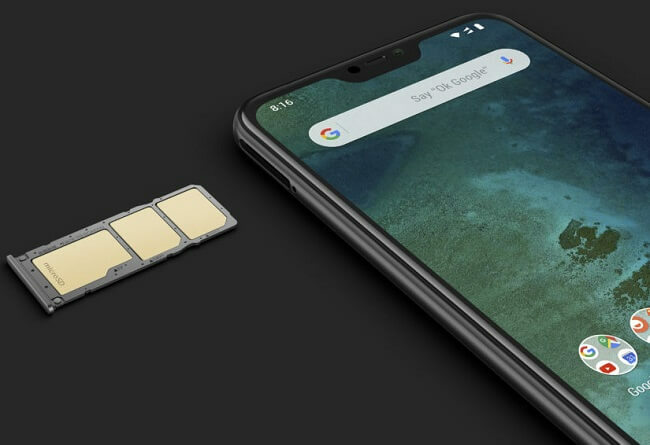 The device is available with up to 128GB of storage and 6GB of RAM. On the rear panel, there is a fingerprint scanner for better security purposes. A 3,010mAh battery is used to power the device with Quick Charge 3.0 feature. 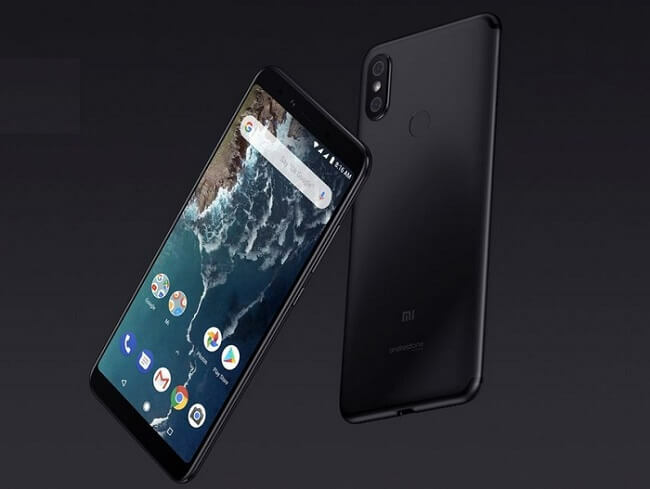 Coming to Mi A2, it is a lighter and smaller variant featuring a notched 5.84-inch 19:9 1080p LCD display, a Snapdragon 625 processor and runs on Android 8.1 Oreo. The device comes with a 12MP and 5MP dual rear cameras, a 5MP selfie camera, a 4,000mAh battery and Micro USB charging. It has storage maxing out at 64GB and RAM at 4GB. It is just 8.75mm thick and includes connectivity options like 4G VoLTE, Wi-Fi 802.11 a/b/g/n, Bluetooth 4.2, GPS + GLONASS. The Xiaomi Mi A2 and Mi A2 Lite comes in Black, Blue, and Gold colors. On the pricing side, the Mi A2 is priced at 249 Euros (US$ 291 / Rs. 20,065 approx.) for the 4GB RAM with 32GB storage version, the 64GB storage version costs 279 Euros (US$ 326 / Rs. 22,485 approx.) and the top-end 6GB RAM with 128GB storage version costs 349 Euros (US$ 408 / Rs. 28,130 approx.). On the other hand, the Xiaomi Mi A2 Lite price starts at 179 Euros (US$ 209 / Rs. 14,435 approx.) for the 3GB RAM with 32GB storage version and the 4GB RAM with 64GB storage version costs 229 Euros (US$ 268 / Rs. 18,460 approx.). Both the device will be up for grab first in Spain starting from August 10th, and then slowly makes its way to France, Italy, India, and around 30 more countries. To let you know, Xiaomi will only launch the Mi A2 smartphone in India, not the Mi A2 Lite.